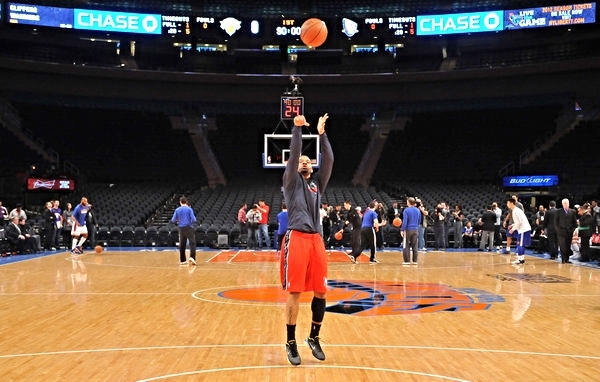 Andre Emmett was shooting jumpers in an empty arena at the edge of Nevada when the N. B.A. came calling two weeks ago. He was nearly seven years removed from his last N.B.A. game, and now the Nets were making him an offer: a contract for 10 days. INSIDE CLEVELAND'S Quicken Loans Arena, LeBron James is leading a historic 27-point comeback against his old team. It's March 20, 2013. 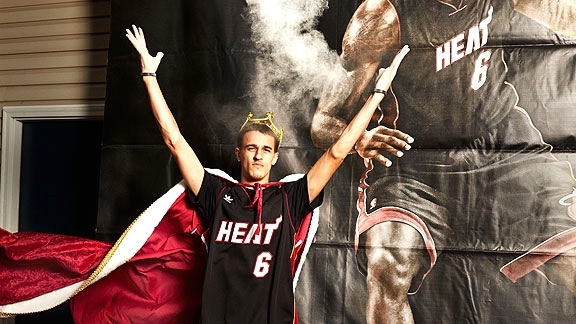 Cavaliers fans are enraged, Heat fans are enthralled, the cops are distracted and LeBron James' Biggest Fan has decided the time is right -- he's going to make a run for it. The thwap, thwap, thwap of a rotor’s blades is the first indication that the smugglers are screwed. Out in the Pacific, 200 miles southwest of Guatemala, three Ecuadorean men look up to see an orange helicopter locked onto their 35-foot boat. If successful, their weeklong drug run would have netted each of them a year’s income. Instead, they are now heaving $25 million of cocaine overboard. We forget that we’re still fighting an $85 billion coke war. And these days it’s the Coast Guard, the fifth, forgotten branch of the military, that’s on the front lines. Between 2010 and 2015 the CG captured more than 500 tons of uncut cocaine, with a wholesale value of nearly $15 billion. The last thousand people who live on Houston's streets are the hardest to help. Franccessa Osho shows why. There in her tent, Osho kept a modeling career on her mind and a roll of toilet paper atop a Bible. "I don't have to give up on my dreams," Osho said. They were bound up in a man she referred to as her fiancé, Jonathan. She said she did not need help because Jonathan would be getting them a place soon. "He will take care of me." Federal prosecutors in Brooklyn brought criminal charges against officer Michael Daragjati, 32, for violating the civil rights of a black man he is suspected of falsely arresting. Daragjati was recorded saying he had “fried” another black man. Part Indiana Jones, part Willy Wonka, the 42-year-old Markus helps America’s best restaurants maintain their reputations for James Beard Award-winning cuisine by importing the world’s rarest ingredients. PETERSBURG, Va. -- It was here, out in the sticks of southern Virginia, on a drag strip covered with dirt on which man tempted beast at the Great Bull Run -- the first event of its kind held on American soil -- that I learned the consequences of insatiable bloodlust. A year ago, Rob Dickens and Brad Scudder, co-owners of Rugged Maniac, a series of 5-kilometer obstacle racing events held across the U.S., conceived a classic idea. Why go abroad, when we could just outrun death here in America? If it offered frequent danger -- the near-death kind -- it would be a success. When Jerry Glanville got fed up with Keith Bostic falling asleep in meetings, he deployed his most dutiful mercenary to fix the problem: Nick Saban. Before Saban would forge a legacy as the head coach at Alabama, which will pursue its fifth national championship under Saban on Monday night against Clemson, he flexed his authority as defensive backs coach with the Oilers in 1988 and 1989. As she stood in front of a dance studio mirror, Shirley Koehler struggled to keep up with a barrage of instructions from the choreographer: spin and stomp, twirl, nod and flex. And finally, slap your backside. At stake was a spot on the Timeless Torches, a dancing troupe tied to the New York Liberty of the Women’s National Basketball Association. A gurgling sound coming from the bathroom roused Alisa and Russell Gage Sr. out of bed around 4 a.m. Days of storms had swelled the nearby Amite River in rural Baker, La., 20 minutes north of Baton Rouge. The water had climbed over ridges, rushed through forests, blanketed roads, surged up a sloped lawn and infiltrated the Gage's elevated house. Russell Sr. discovered sewage belching from the toilet. The horse-race handicappers still tend to crowd the 117-year-old Aqueduct Racetrack in Queens and its less-than-glamorous environs. Then there are the newcomers at Resorts World: casino lovers flocking to an array of 2,500 glowing monitors and electronic table games, and feverishly depositing dollar after dollar in hopes of an instant jackpot. Early in the evening on July 26, 2012, Michael Haynes was cruising around Morgan Park on Chicago's Far South Side when he and his friends, Harry "Slick" Fullilove and Lester "Doogie" Freeman, got word of a fight about to break out. Haynes — who went by Mikey, though also answered to "Big Bro," "Lil' Bro," and "God Bro," because so many Morgan Park residents considered him family — was a 22-year-old basketball star five days away from heading to Iona College in New York. Slick owned the Buick and was letting Mikey drive to take a farewell victory lap of the neighborhood. HINTON, Okla. -- At 52, Marcus Dupree is slower and heftier than the strapping teenager who inspired comparisons with the dominant running backs in history. But he has found a way to attract paying spectators with his mystique and entertain them with some action. He enters the ring at the Sugar Creek Casino, a squat and smoky establishment off Route 66, for at Crowbar Championship Wrasslin'. To make it to the majors, a player must advance five or six rungs through the minors, outplaying any number of other draft picks along the way. One of the many players left on the discard heap was Michael Moras. His distance from the majors is now measured by how far he sits from his television, watching broadcasts of Mets games. During Tampa Bay’s three-game sweep, manager Joe Maddon not only loaded the right side of the field against left-handed Yankees hitters, which is common enough, but also tilted his defense to the left against right-handed batters, which is a more unorthodox strategy. Where there used to be hits, there were now outs. A comedian, actor, filmmaker, bestselling author and pioneer podcaster, Carolla is above all an expert handyman. Before breaking into Hollywood, he spent 12 years in construction. Now he spends 12 hours a week on air, venting about everything from government handouts to specious “service” dogs on airplanes to proper pizza toppings. By his nature, he approaches everything with an I-can-do-it-better-myself attitude. It drives his most passionate pursuit: finding and restoring Paul Newman’s race cars. To date, he has spent nearly $1 million acquiring and will spend another $1 million rebuilding seven of Newman’s race cars–the largest known collection in the world. On a 20-acre ranch deep in the sticks of Montgomery, Texas, Ron Wolforth gathers his pupils under the arched ceiling of a 3,600-square-foot corrugated-steel hut. 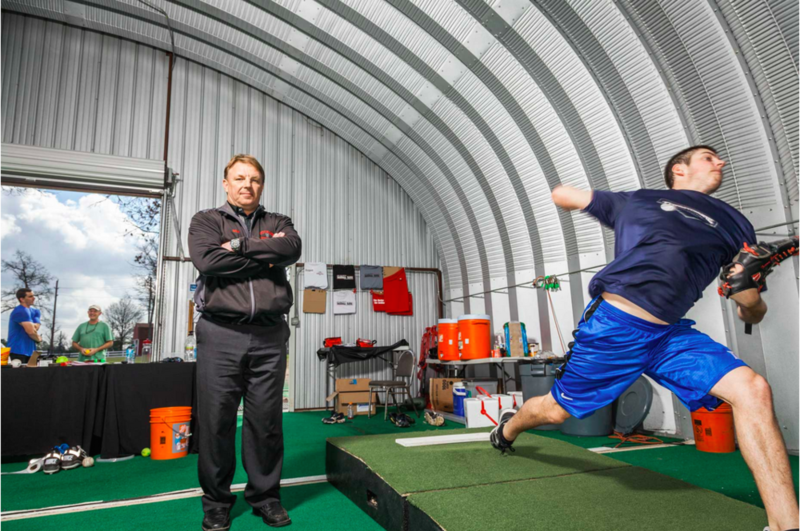 They arrive from all over the country during the off-season, lured by Wolforth's guarantee that he can get virtually anyone throwing 90-plus miles per hour, injury-free. Under Roger Goodell's watch, the N.F.L. has incurred 399 arrests, including 109 for DUIs, 63 for drugs, 44 for assaults, 39 for domestic violence, 33 for guns and 12 for battery. Yet for all of the arrests that fans may have heard about, there are dozens more that have been forgotten or never known at all. Part Lance Armstrong and part Don King, Thomas Dold, a 27-year-old German, has built a brand by striding up staircases better than anyone. Wednesday night, Dold ran up 86 floors of the Empire State Building in 10 minutes 28 seconds, winning the race for the seventh straight year. Serena Williams shouts, shrieks, squats, slouches, grimaces, huffs and puffs, grits her teeth and purses her lips and, on occasion, stares into her racket as if it were a mirror magnifying every little wrinkle and imperfection. And this is when she is winning. Such is the agony and the ecstasy of Williams, once questioned for her commitment to the sport and her chances of returning to primacy from myriad injuries. But now she is unmatched in her focus and ferocity at this U.S. Open. On Friday at Citi Field, Harvey showed he is a work in progress for the Mets, who lost, 4-0, to the Atlanta Braves, with Paul Maholm pitching a three-hit shutout and the Mets again falling five games under .500. Of course, his his father envisioned Harvey’s future a lot earlier than any Mets fans had. A photograph of him at age 2 hangs on the refrigerator in his family’s home in Groton, Conn. He is sitting on his knees beside a ball field, a baseball cradled in his palm, staring into the outfield.